Toward that end, and in an exercise in humility, I would like to pull back part of the curtain by writing a resume not of my accomplishments and successes, but of my failures—for this too is a significant part of who I am (and who I am not), giving perhaps a more balanced perspective on the life of an academic. I will include in this anti-resume, or un-resume, only those possibilities that were viable possibilities for which I was rejected, omitting the far greater number of opportunities that I pursued, but for which I was not seriously considered. Perhaps I present as being successful—it’s hard to know whether not something like that is true of yourself. But regardless of how I present, my internal state is quite different. I am full of fears, insecurities, and memories of painful rejections in matters pertaining to jobs, publications, and schools. And why does this matter? Personally, it matters because of an ongoing struggle against pride. The academy is a highly competitive environment, which can, at times, cultivate a competitive and prideful spirit among its members—a spirit I have felt powerfully at work in myself at different times. A helpful antidote to such a spirit is a list of rejections and closed doors, the paths I would have chosen, but never got to walk. Not that a list of failures is sufficient to cultivate true humility—for that is far too lively and powerful a force to be cultivated by mere awareness of failure—but perhaps it can play an assisting role in that regard. Publicly, it matters because the academy is a hard road to hoe, and many of those who make it have long track records of rejections to complement the resumes of their successes. 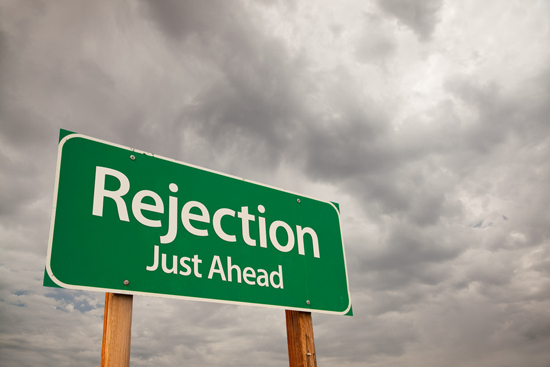 Those who would set out on such a road should not be overly daunted as doors close in their faces, but should also be prepared for a good if not excessive amount of rejection and failure. Perhaps, my anti-resume will play a helpful role in this regard.